Summer in L.A. is two things: hotter than the inside of a hot pocket and a barrage of fun festivals. 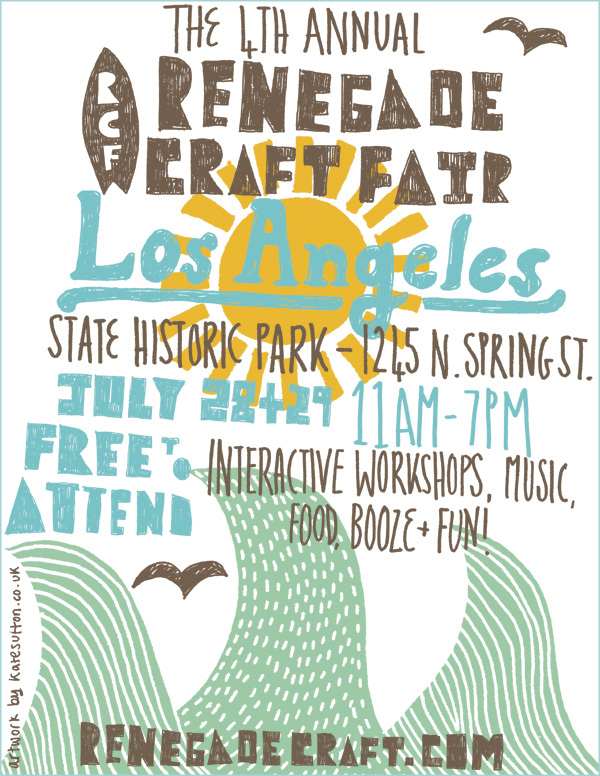 Officially kicking off the summer season is Renegade Craft Fair–one of our favorites! We might be biased because we are one of the *hundreds* of vendors and crafters participating, but it’s seriously a really good time. There will be music from our buddies at KXLU, food trucks, and workshops up the wazoo. Come by and browse the zine library, check out the LAZF Guide To L.A, and, you know, just say hi! < Coming soon – Philly Feminist Zinefest!